Dr Katey Thom, Senior Lecturer, Auckland University of Technology (AUT) Law School is the recipient of a Marsden grant for her research into police practices when engaging with citizens in mental distress. “We have little in the way of police research in Aotearoa, and we know that police have indicated mental health as one of their main areas of demand,” says Katey. The research will use a co-production methodology, that means working with the police and citizens who have experienced mental distress. Dr Sarah Gordon (University of Otago), who is co-leading the grant with Katey, is one a few service user academics in Aotearoa who draws on her own lived experience in teaching and research. Sarah and Katey have teamed up with Māori, mental health and legal researchers, as well as senior police members to create this project. This includes other AUT researchers Professor of Forensic Mental Health Brian McKenna and Associate Professor Jacquie Kidd who will be joining Taupua Waiora Māori Health Research Unit in early 2019. The aim is to find out how the preventative, victim-focused police policy is operationalised during events where citizens are in mental distress. “Citizens in mental distress are more likely to be victimised, socially excluded, and when in crisis, treated coercively by police. We also know that police bias, racism and negative stereotyping has shaped the general mistrust Māori have towards police, which is important in this research context where Māori are more likely to be represented in incidents police code as mental health events. We wondered, how then, is the police’s policy put into practice when they respond to mental health events?” said Katey. Ethnographic case studies of police practices in mental health events across diverse regions of New Zealand, and interviews with police nationally. Peer-to-peer narratives with citizens who engaged with police while in mental distress. Cross-analysing citizen and police experience findings. “The project will produce new perspectives on how to improve police responses to people who experience mental distress in the community and inform evidence-based strategies. The use of co-production methodology means we are well placed to see to the project findings translated into action,” says Katey. “We are so excited to get this grant and the potential positive impact it may have for citizens in mental distress and the future of police practices,” said Katey. 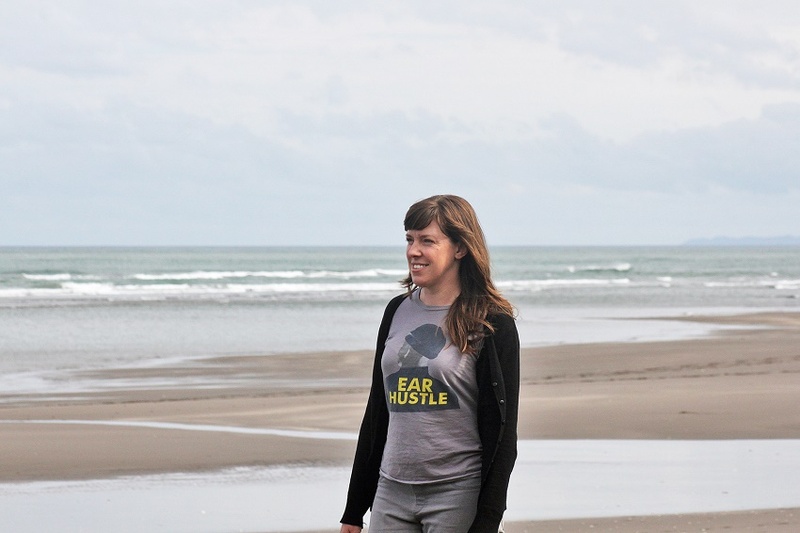 *If you would like to find out more about research on using lived experience of prison to create positive justice reform, Katey recommends listening to Ear Hustle - a non-fiction podcast about prison life produced at San Quentin State Prison by inmates Earlonne Woods and Antwan Williams, along with Nigel Poor, an artist who volunteers at the prison.